Spectacular views and sunsets await from this elegant turn of the century gem overlooking Lake Maria Sanchez. Prominently situated between St. George & Charlotte Streets, this light and bright 5 bedroom, 3.5 bath Victorian home is filled with old world charm and intrigue! And if you are looking for a 2nd home with short term rental capabilities, weekly rentals are allowed. Be a part of historic downtown St. Augustine and enjoy all it has to offer! Welcome home - we will have the hammock ready!The first floor of the home offers a covered entry off Charlotte Street with a grand view of the staircase and foyer. An inviting living room to left with a fireplace is a quiet setting to read a book or rest after a long day. The formal dining room opens up into the living room and also has a side door entry from Charlotte Place. The family room opens to the rear covered porch with expansive views of Lake Maria Sanchez and a large fenced yard. Large glass windows let the sunshine throughout the home to showcase the property's exclusive location and lakeside views. The north side of the home offers an updated kitchen with granite countertops and stainless appliances and a breakfast nook overlooking the side porch and brick patio to enjoy your morning coffee and conversation. There is also a den, utility area and powder room conveniently located off the kitchen toward the rear of the home. The second floor of the home offers five spacious bedrooms and two bathrooms conveniently situated to maximize privacy as well as utility. One of the bedrooms could be used a second floor living room based on its size and location. Designed for a large or growing family with enough space to entertain friends and overnight guests, this home can adapt to several scenarios. 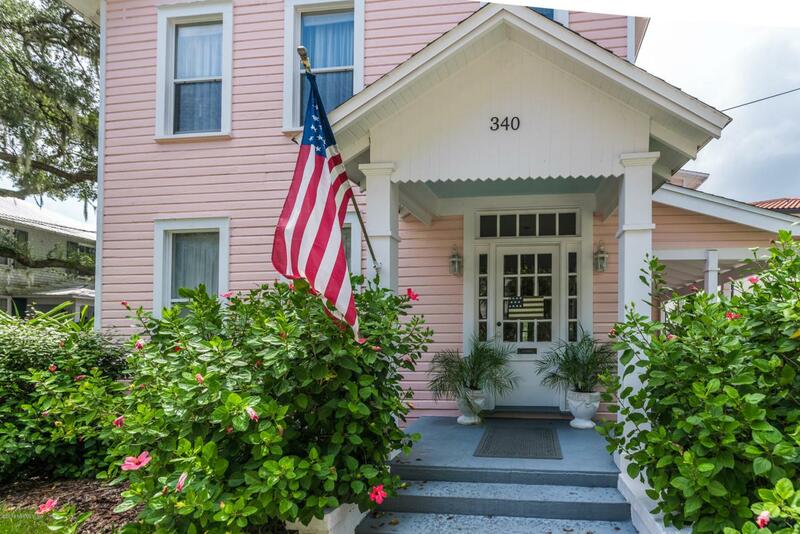 This lovingly cared for and welcoming home is truly a treasure in one of the most sought after locations in St. Augustine. A rare offering and opportunity for you!